I've been reading A Girl Called Jack blog, which is primarily about eating on a (strict) budget and have been inspired to give dried beans a go. I've always been a bit scared before and used tinned, it's the thought of maybe poisoning myself which has put me off in the past. But they are easier than you think, cheap and flavoursome You just need to be a bit organised, as most need soaking for 8-12 hours, then cooking from 1 to 2 hours, but its worth it! 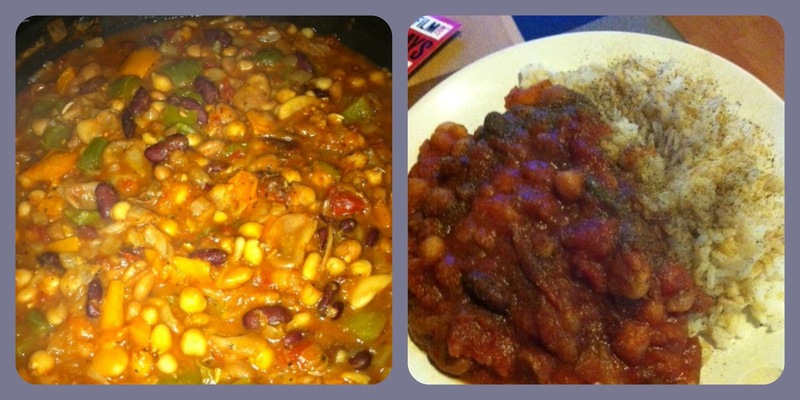 This started as a Barbecue style bean stew, using diet coke, but didn't work out for me; ended up as a tasty bean stew instead! Sorry if you don't do 'a bit of this' or a 'handful of that' type of cooking, but I didn't weigh of measure anything. Add the roughly chopped peppers and stir for another couple of minutes. Check the seasoning and serve! I think for Extra Easy the ingredients make it Syn Free. You can spice it up and make a chilli or curry and imagine it would be nice with some lemon running through it too. How about stuffing it in beef tomato's or peppers? Lovely! Let me know if you give it a go, I'd be interested in knowing what you think.